As a new century and millennium begins, George Washington is also celebrated as a visionary, a trait which has been immortalized in the bust of George Washington by Jean Antoine Houdon. An oval ornament bordered in 24-karat gold-plated brass, the bust is the centerpiece. 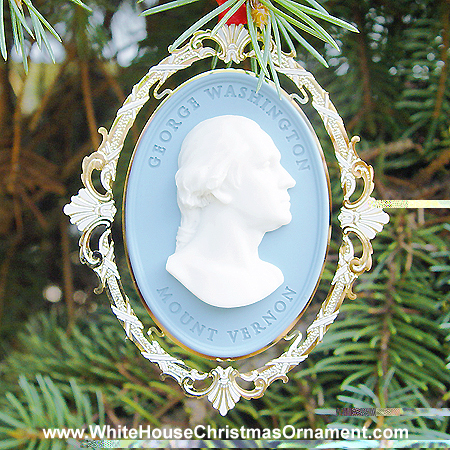 Appropriately, the ornament is made in imitation of jasparware, an 18th century medium popularized by Josiah Wedgwood to celebrate classical heroes, such as George Washington.